The Stanley Cup win signifies Los Angeles' track to becoming a true sports town. 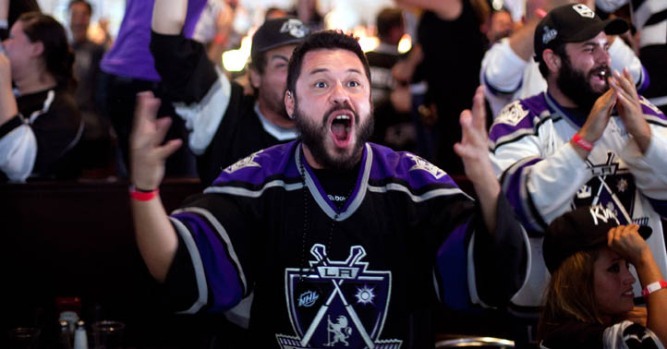 Kings Bandwagon Fills Up: "LA is Fair-Weather"
With the Stanley Cup now in the grasp of the Kings and Angelenos sporting team colors – black, silver and a splash of purple – Los Angeles is well on its way to becoming a true sports town. “I think we are on the brink of becoming a real, true sports town. 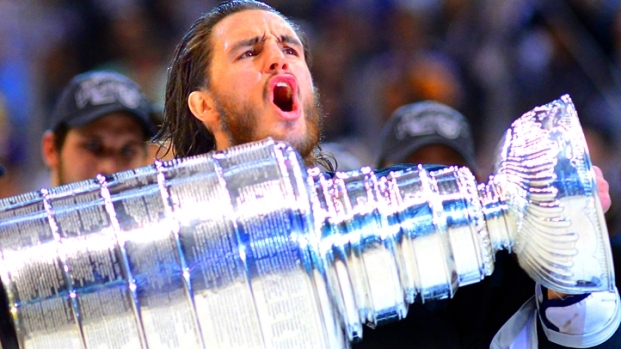 I mean, we are going to have professional football finally; once again, we won the Stanley Cup. LA is again the center of the world and last night’s win just proves that,” said Mohawk Matt, Bolt Barbers founder. 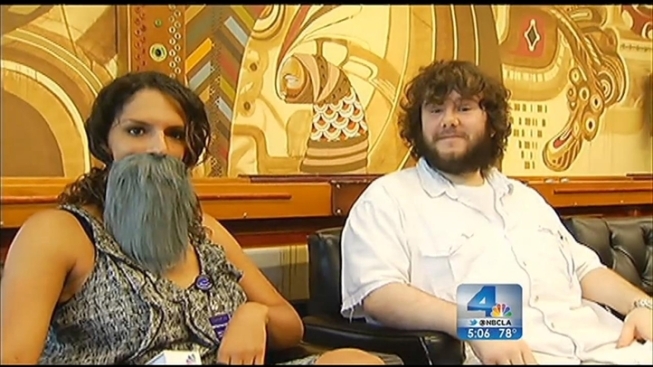 Kings fan Zack Roberts grew out his beard in solidarity with the Kings and their playoff run. Robert was much like many Angelenos, who have recently jumped onto the royal bandwagon. “I love LA. Love the weather, I like everything about it and the Kings just add a little extra flavor,” Roberts said. In light of the Kings obtaining hockey’s top prize, the question stands: will Los Angeles now be known for its Kings, opposed to its Lakers? When asked which teams Angelenos associated with the city, the newly crowned Kings were still low on the list. “Lakers; Dodgers is number two,” said one woman at the Bolt Barbershop. Many fans can easily list the first and last names of the Los Angeles Lakers like members of their own family, however, that’s not quite the case when it comes to the Kings. “There’s Quick, Kopitar, I think Bryan - he’s the Captain, maybe,” Decastro said. Despite the minor hiccup, fans like Hollis Hart believe the cause for celebration is inherited when one lives in the city of Los Angeles. “LA is fair-weather. Sorry guys, everyone is, we all are,” Hart said.